She received her BA in Philosophy and Dance from Haverford College and her MA and PhD in Philosophy from Stony Brook University. Sarah Clark Miller is Associate Professor of Philosophy and Associate Director of the Rock Ethics Institute at Penn State University. Miller’s research and teaching interests include moral theory, practical ethics, feminist philosophy, and social and political philosophy. She has a growing interest in science and ethics. She has published on the themes of global ethics, need and obligation, harm and moral injury, Kant’s practical philosophy, biomedical ethics, and Simone de Beauvoir in journals such as Social Theory and Practice and The Journal of Social Philosophy. She has also published a book, The Ethics of Need: Agency, Dignity, and Obligation (Routledge, 2012). Miller has been the recipient of several national awards including the March of Dimes Young Scholar Award in Perinatal Bioethics from the American Society for Bioethics and Humanities and the March of Dimes and the Award for Best Paper by a Young Faculty Member from the Association for Practical and Professional Ethics. She was also awarded the Early Career Research Award by the University of Memphis (2009). Previously, Miller was Associate Professor of Philosophy at the University of Memphis, a Visiting Faculty Fellow at the University of Toronto’s Centre for Ethics, and an American Postdoctoral Fellowship from the American Association of University Women. 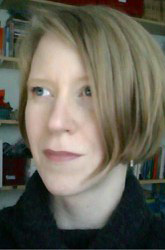 She was also a Visiting Scholar in the Department of Philosophy at the Philipps-Universität Marburg and a Max Kade Foundation Research Fellow. “Moral Injury and Relational Harm,” Journal of Social Philosophy 40, no. 4 (Winter 2009): 504–23.